Does your company, service or brand engage subscribers or customers online through a monthly or strategic email campaign program? As time goes on and as quality A/B testing takes place you will begin to establish a clear-cut picture of the results based on details from design to subject lines to content. These factors are all part of your success to failure rate and should be quantified into your overall online marketing tactic. Pending on the data at hand, your HTML email campaign may need some simple adjustments or a complete design overhaul. What is your competition doing? Most likely they are employing quality design, articles, animated gifs and engaging videos in their emails to engage and direct their subscribers. Your subscribers are constantly evolving, so should your practices. Encourage sharing of your content – Deploying social sharing opportunities will increase your brand awareness across the board. Start and finish with mobile in mind – Over 50% of your email users view email on their mobile device. A high quality image – Images provokes emotion and encourages subscribers to engage. 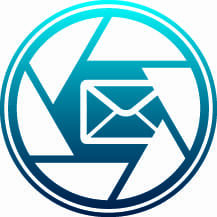 The right image can speak a thousand words; it also helps your email stand out in a crowded inbox. Design matters – The right design will define the hierarchy of information, engage your subscribers and establish value in your brand. If your email lacks design value, your message, creditability, and brand will also suffer. With the right email marketing deployment software, you can track and equate the simple factors in your campaigns such as open rates and click-thru rates. All of which are important to gauge the engagement rate of your subscribers, however, there are other important factors that should not go unnoticed. A/B testing will help you identify what works and what does not work, along with the hot points your subscriber market looks for. This is typically the toughest item to accept. In some cases your content is not precise or misses the mark altogether. Does your subject line, copy, images and CTA (call-to-action) work hand-in-hand or are they all sending you off into different directions. Do you have a clear CTA (call-to-action)? Do your images match with your message? Yes, your company news is important but is it important to your subscribers? You will want to connect to your audience, have a conversation with them and offer content that can be shared across all platforms. This is your chance to offer something that your subscribers find value in. A call-to-action needs to be crystal clear, engaging and clickable. The goal is to engage and activate your subscribers to take action in some way. Your CTA should not require the intervention of a detective. A visually appealing design – Your CTA should be appealing and eye-catching in order to lead your subscribers to click and engage. It should not be visually hidden. This is where a quality designer comes into place. Words matter – Start off with a verb for the text in your CTA.